DVC84 is part of the 2017 Super Treasure Hunt set and 6/10 in the HW Screen Time series. 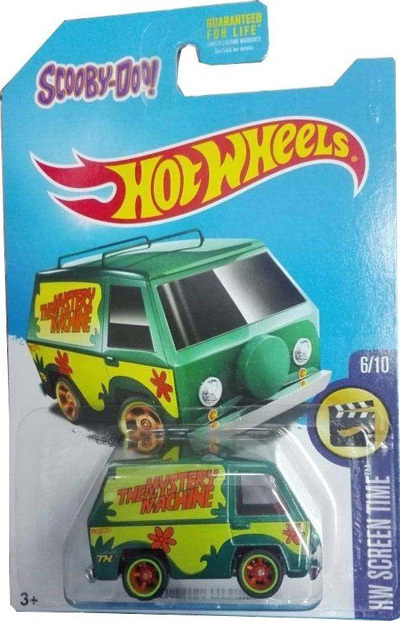 The dark green van has light green graphics on the sides with two orange flowers, “The Mystery Machine”, “TH”, and the Hot Wheels logo. The vehicle has clear windows, an orange interior, and a Malaysia base. The Co-Molded 5-spoke wheels have light green rims and orange spokes. 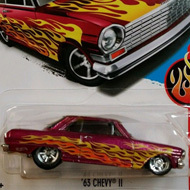 The Mystery Machine made its debut in the 2012 New Models series. The van is used by Scooby Doo, Shaggy, and the rest of the gang on their mystery solving adventures.